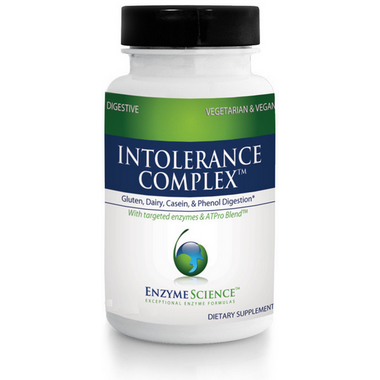 Intolerance Complex contains high-potency enzymes specialized to digest compounds known to cause intestinal disturbance. Recommended Usage: Take 1-2 capsules per meal with the first bite of food. More may be taken as recommended by your healthcare practitioner. Works better than most other digestive enzymes. Iâ€™ve used this product for a few years now. Works awesome! I can eat bread products and dairy products without paying a price. Makes those little cheats not so pricey! 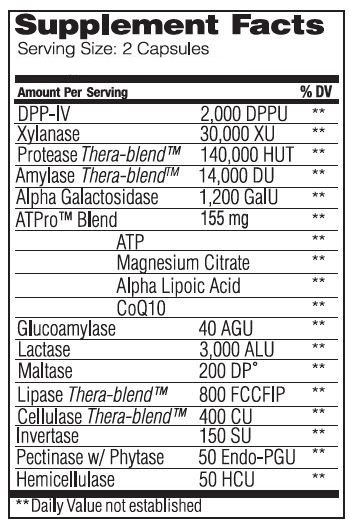 Only Gluten enzyme product that I have found to actually work for me, and for dairy too!